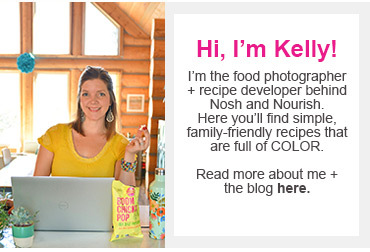 Disclaimer: this is a sponsored conversation written by me on behalf of Angie's BOOMCHICKAPOP. The opinions and text are all mine. 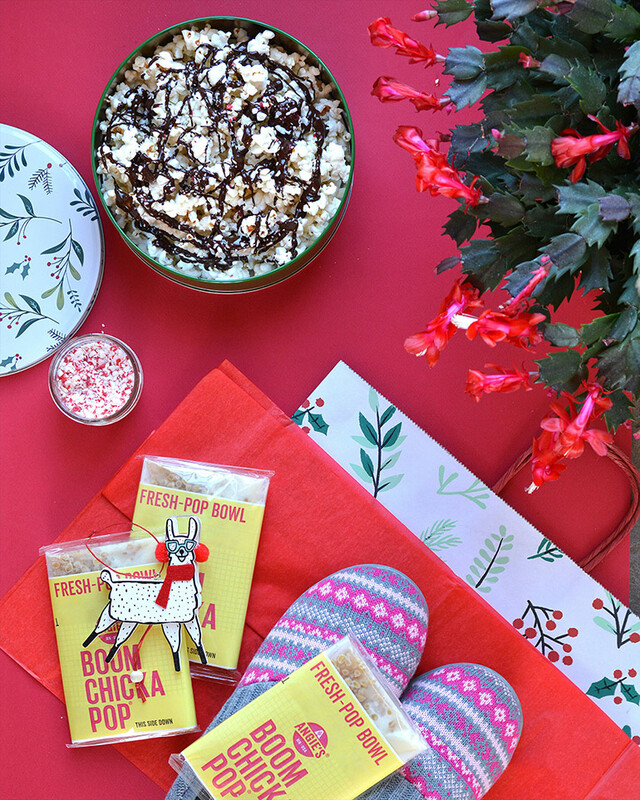 With the upcoming holiday season, I'm excited to partner with Angie's BOOMCHICKAPOP on this post all about easy holiday gifts for hostesses, teachers, friends, and more! 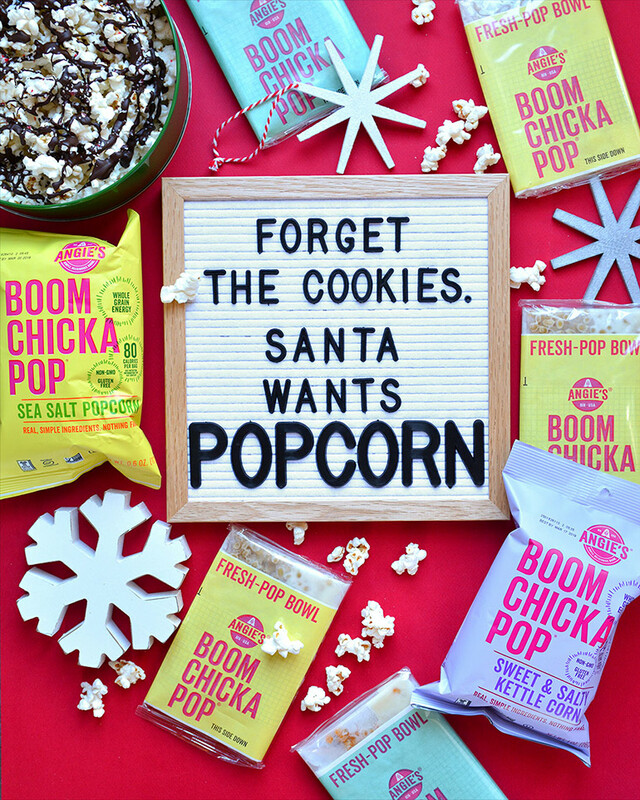 As a foodie myself, I love giving the gift of food... whether it's a baked mini loaf of Blueberry Banana Bread or a holiday tin filled with cookies, or my go-to this year: holiday popcorn! 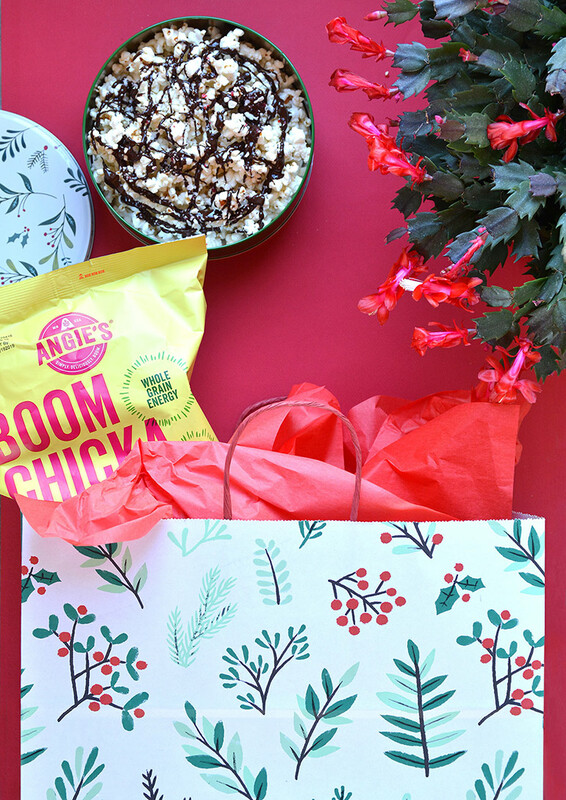 Angie's BOOMCHICKAPOP Sea Salt is the perfect backdrop for drizzles of dark chocolate and crushed candy canes! 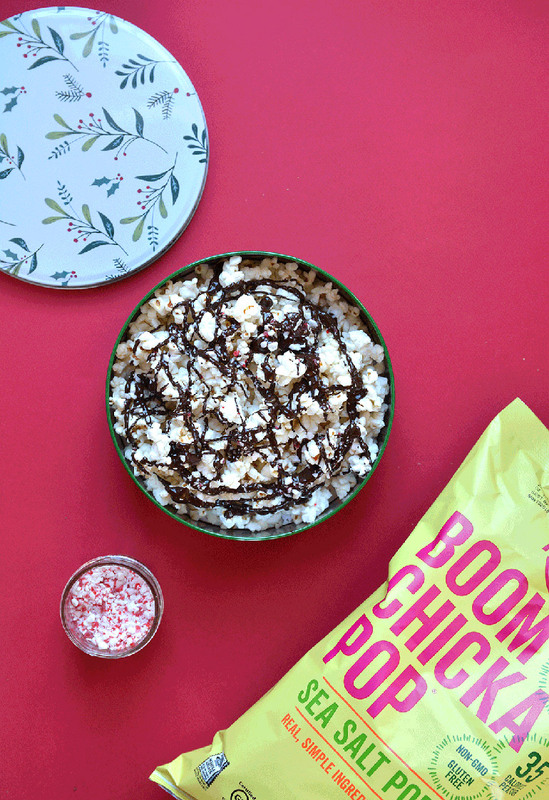 It only takes a few minutes to make, when you use a pre-popped bag of Angie's BOOMCHICKAPOP! Just melt the chocolate in the microwave, drizzle it on with a spoon, and then top with crushed candy canes. You might not have heard, but Angie's BOOMCHICKAPOP JUST came out with a new microwave popcorn in three great flavors - Lightly Sweet Kettle Corn, Real Butter, and Sea Salt. The individual bags are unique Fresh Pop Bowls that double as the popcorn bowl once popped, so no need to get another dish dirty! At our house, we are loving the flavor AND the convenience! 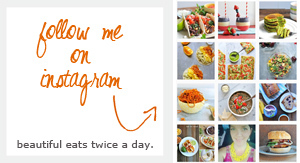 Letterboards are taking over the internet, am I right?! But rightfully so; they are a fun addition to your home --- you can be silly, supportive, or sarcastic... and change the messages based on the season. In this case, I'm totally just looking out for Santa. 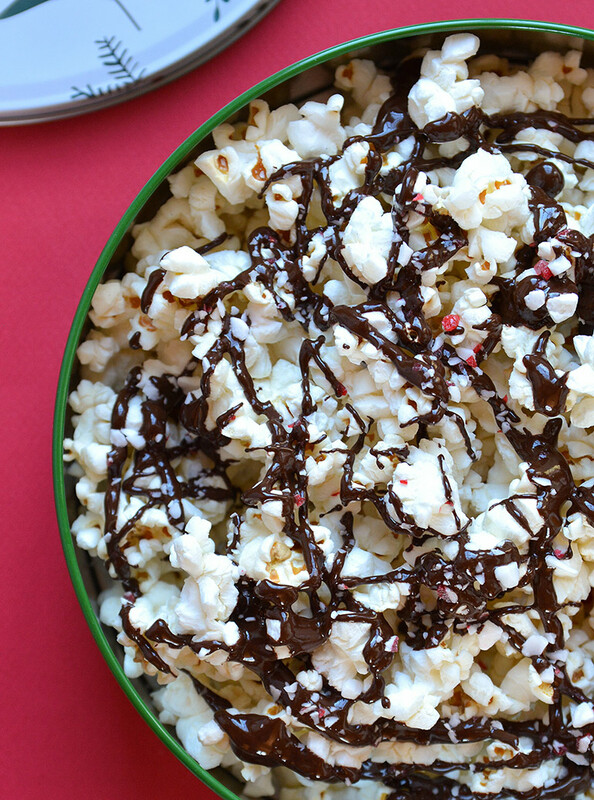 Swap the cookies this year for holiday popcorn! 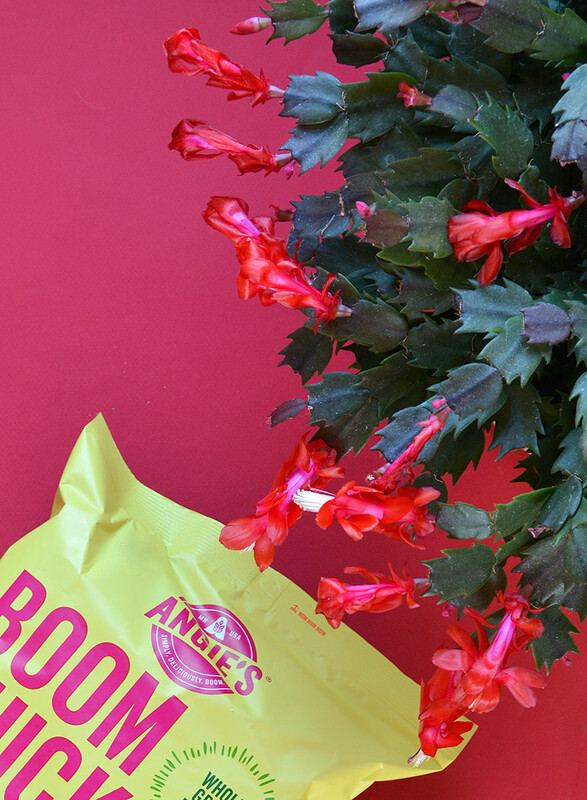 If you have a plant lover in your life, a Christmas cactus is a fun gift. They bloom during the holiday season in these gorgeous, vibrant reds and pinks! And they don't take "a lot" of care the rest of the year. I neglected mine quite often during 2018, and yet it still rewarded me with these gorgeous blooms just at the right moment!